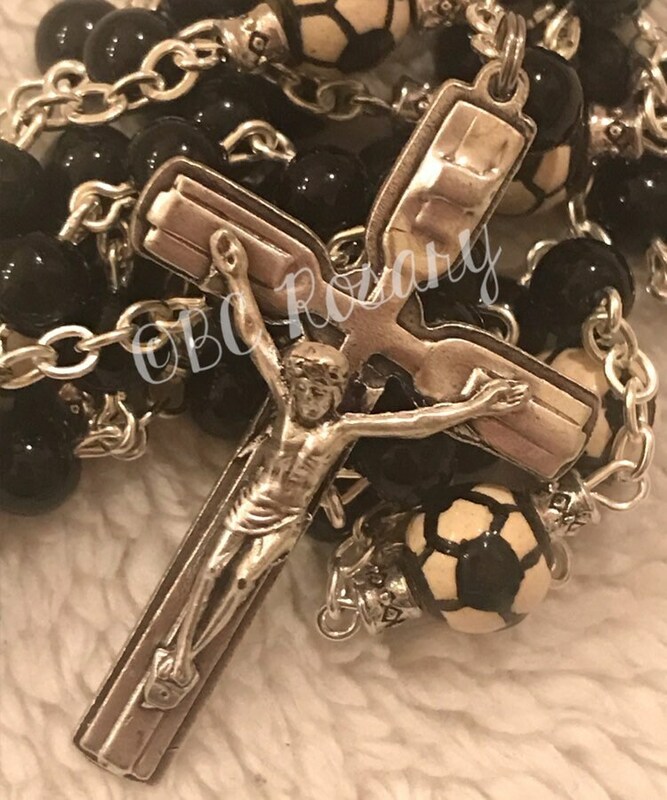 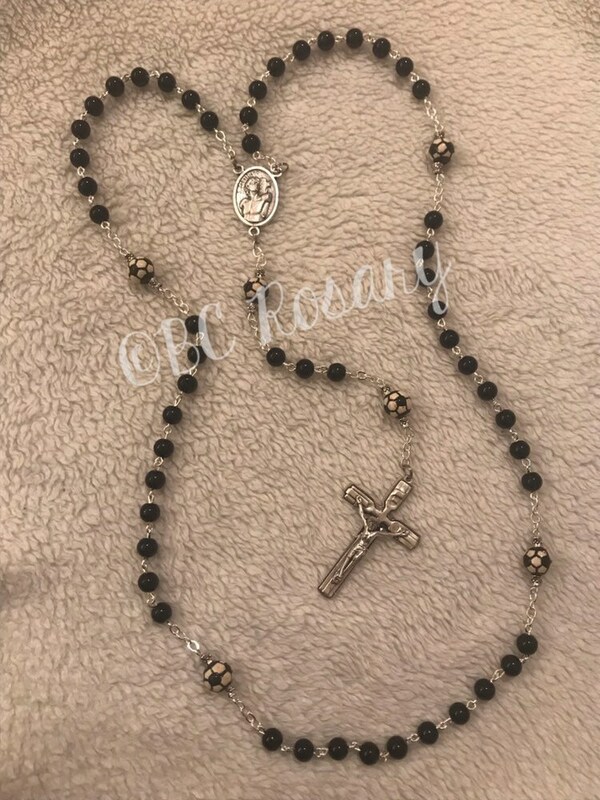 Black onyx Czech Glass 6mm beads are used to make this rosary. 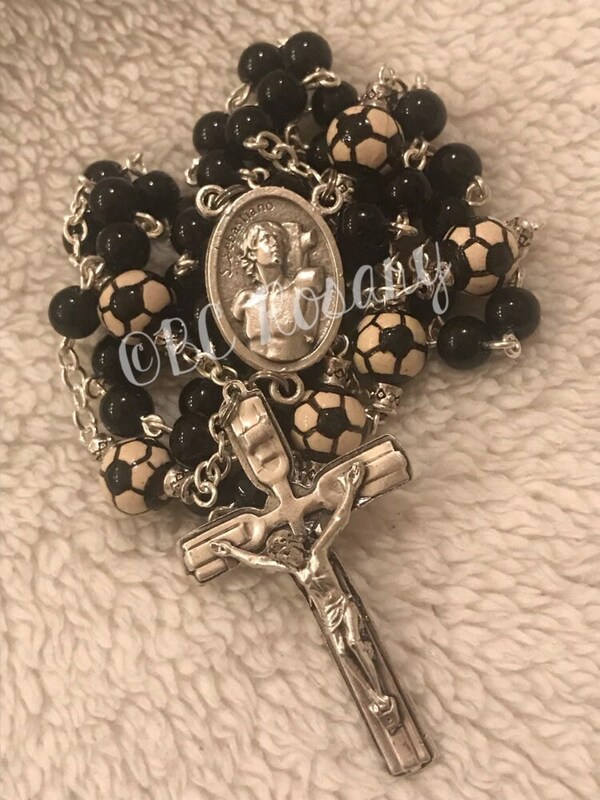 The Our Fathers are 8mm ceramic soccer beads surrounded by 4mm silver accent beads. 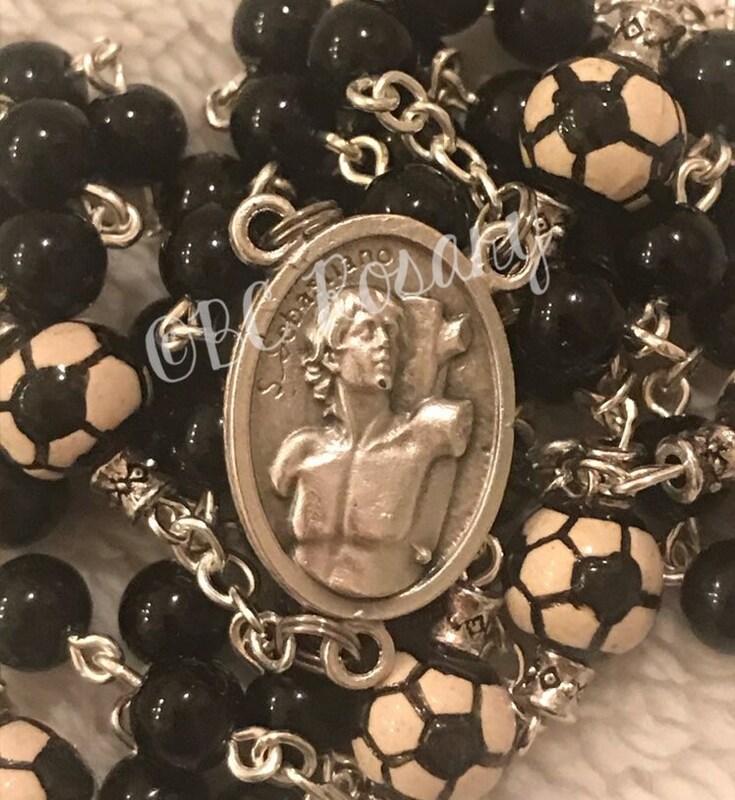 The centerpiece features an image of St. Sebastian, the patron saint on athletes, and a silver gild Crucifix completes.